A fine slice of honeycomb has been permanently preserved in Bronze using the lost wax process. These bronze pendants are lightweight and very comfortable to wear. The comb measures 1" x 3/4" and looks delicious when worn! Bronze has warm golden tones and each is sealed to prevent tarnishing, no two are identical. I have provided a variety of images with different light sources, bronze looks different in indoor lighting vs full sunlight, these variations are part of the nature of bronze. These handmade necklaces come with care instructions and each is packaged in a pretty presentation box. Hangs on a 20" raw red brass chain as pictured. These are made using traditional metal working techniques in our Austin Texas studio, and registered with the US design copyright office, this is both an original honeycomb and an acknowledged work of art. 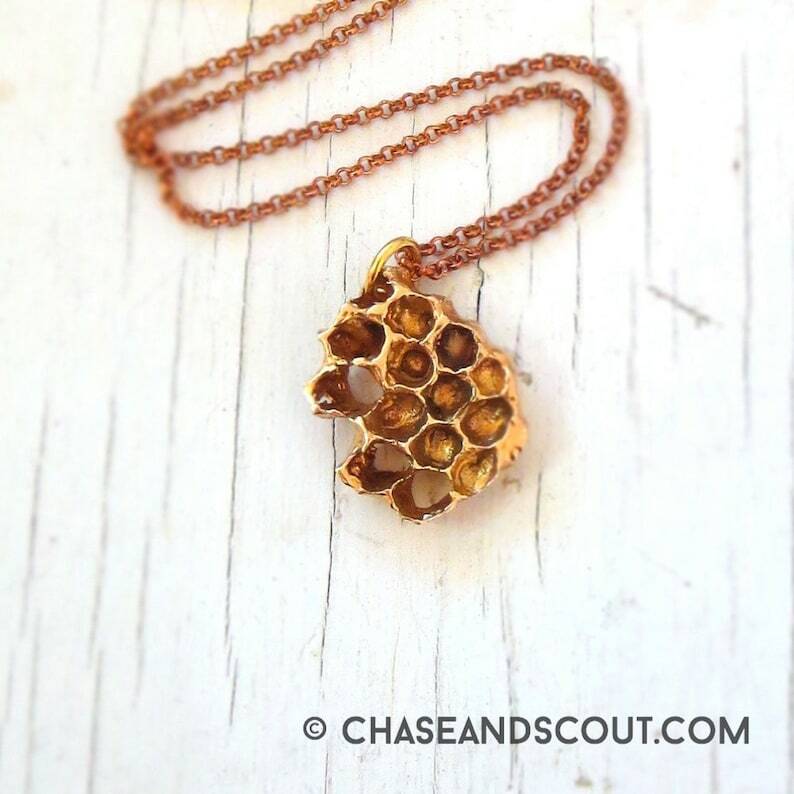 My bee keeping daughter loved this necklace.